"The politics of representation is a complex issue within the cultural field: prized progressive notions such as "difference" and "diversity" readily transform into a form of symbolic currency readily bartered between cultural practitioners, funding bodies, and target audiences. 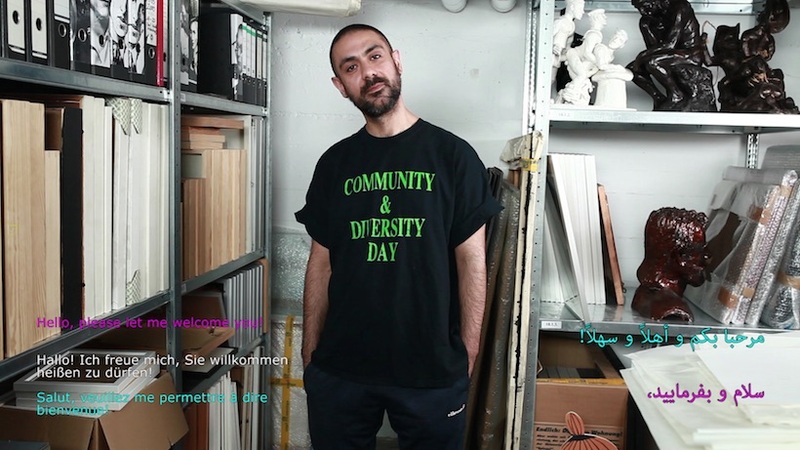 This reality is rarely addressed, especially in its cruder forms: this exhibition, for example, is presented as casting a postcolonial perspective "for the first time" on the "collection and history of the Schwules Museum*". Is this first attempt fueled by an internal institutional urgency to engage with postcolonial theory, or is it made possible by current tendencies within official discourse that offer the necessary funding opportunities? Both are true. Internal changes within the organization of the Schwules Museum* have brought in perspectives that deviate from and challenge the "original" founding demographic of the institution. The introduction of the asterix to the museum’s name in 2012 was an attempt to make visible the exclusion of a broader, more queer, less specifically "gay" spectrum of persons. At the same time, these developments reveal a general "politically correct" turn within cultural representation, based on fulfilling quotas without necessarily challenging the systemic inequalities that maintain the "norm." The sensation of tokenism, albeit cynical, is nevertheless a reality – importantly, it is reciprocal. I as the curator of this exhibition and a queer person of color knows how to use my "identity" to position myself within certain contexts. These complex mechanisms reveal the political economy of laboring the "self," a social performance that everyone is internally aware of, but externally act as if it were not the case. The artist employs me in this video to expose this public secret, concealing my speech in official language: how does it sound to recite words written for a job application? Or a museum’s mission statement? When am I genuine and when am I exaggerating? Who will ever really know that I can’t speak those languages as well as I say I do?"